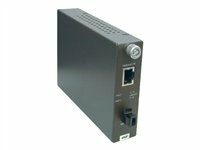 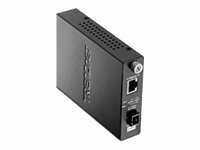 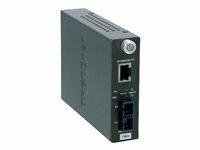 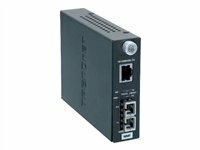 The TFC-110S20D3i intelligent fiber converter works with the TFC-1600 chassis system or as a standalone unit. 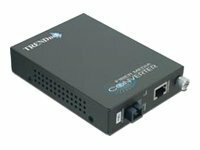 This converter is a dual wavelength single mode SC-Type fiber converter that spans distances up to 20 km (12.4 miles). 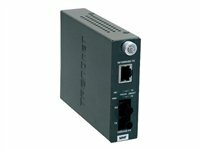 Ports include 1 x 10/100Base-TX (RJ-45) port and 1 x 100Base-FX (SC simplex type) port.